Exactly! So yeah…you get it. 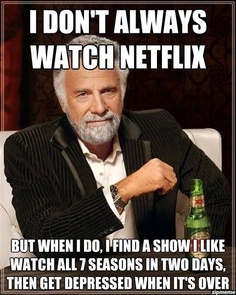 Here’s the thing about my quirky Sherlock obsession, though. You see, I have this other thing called My Real Life. 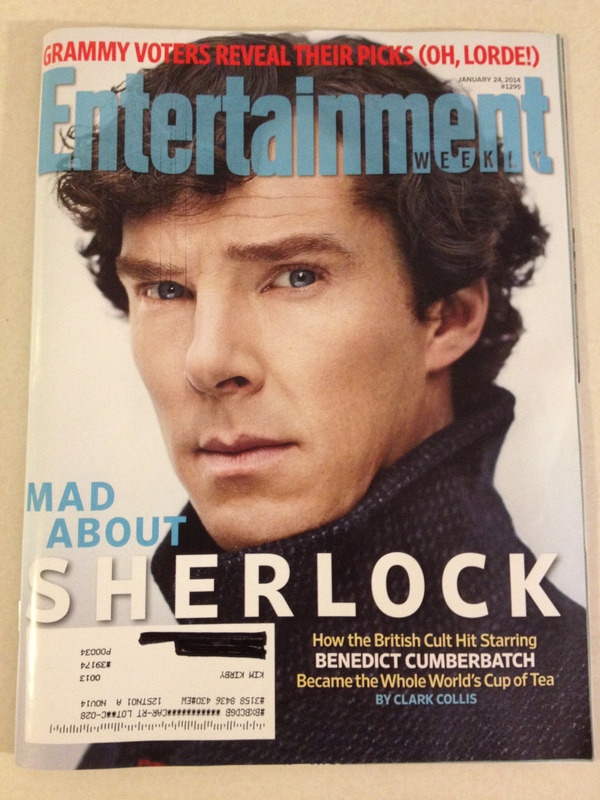 And shockingly, Sherlock has served to distract me from my real life. When I’m taking care of the important business of getting all caught up on Sherlock, it seems somehow much less important to…oh, I don’t know…do the dishes, or plan for Wednesday night class, or educate my children. You know, little things like that. At times this past week, Sherlock has obscured those priorities. I mean, it’s just so much more fun to solve thrilling mysteries like how Moriarty accessed the British crown jewels in the Tower of London than to solve the mystery of how my family can have thirteen unmatched white socks in the laundry (<—not making that up). Of course, it’s easy enough to come out of my Sherlock obsession because I simply have to remind myself of this one little detail: the show is not real. My life, on the other hand, is real. And that makes it more important than Sherlock. On Wednesday afternoon, I felt like exploding because my house was messy, and I hate mess and clutter. I need things to be straight for my sanity, and when things aren’t straight, it drives me crazy. I hate it when my house is so cluttered! Okay, here is your question: what pronoun is most prominently featured in that little rant? Yes, the first person singular: I, me, my. Never mind that one half of the “mess” was caused by a wonderful art project in which my kids were trying to paint their own version of the Sistine Chapel ceiling, and the other half was caused by all the supplies and prep I needed to host a party for the little girls at church on Saturday–two worthy endeavors. No, all that mattered in that moment was my own, personal dislike of clutter. I was trapped in my own mind. And when you get trapped in your own mind, your perceptions and feelings become very, very important. When you’re trapped in your own mind, YOU are all that matters. And therefore, if something bothers you, then of course you should react. Of course it makes sense to explode over something like clutter. Because clutter bothers YOU. This week in class, I shared my #1, best strategy for getting out of the trap of my own mind. For me, the key to that prison has always been found in some form of quiet time with God. It can take many different forms: maybe it’s reading something from the Bible, maybe it’s a silent prayer, or writing a prayer down, or meditating on a verse, or even just sitting in silence for a few minutes and quieting my thoughts. Regardless of the form, just taking that time to step out of my own concerns and focus on something so much bigger than my own little life circumstances really helps me to realign with reality. It puts my life into perspective for me, much the same way as, say, going out and looking at all the stars at night reminds me of how small I am. Taking a few minutes to ponder God and eternity makes me realize that my petty preferences, such as a dislike of clutter, are just that: petty. They are certainly not worth exploding over, and they’re certainly not an excuse to be unloving to other people. It turns out that I am not alone in this. In class, several other women shared how time with God helped them to focus on what mattered in their day and to keep proper priorities. For those who did not spend daily time with God, we talked some about what that looked like. It can truly be done any time and anywhere where you have a few moments of quiet. And it can take many forms, such as the ones I’ve listed above. But the bottom line is that taking that few minutes to spend with God can help remind you that your feelings, your concerns, and your preferences are not the most important things in life. That may be an elementary concept (couldn’t resist; just call me Sherlock), but it’s one that can keep us from exploding throughout the day. This Wednesday, we are going to continue on to “stuffing,” but before we move on, Do you have any other tricks to keep from exploding? This is our fourth class recap for the Wednesday night lesson series I’m teaching on the book, Unglued, by Lysa Terkeurst. Since we discovered that many people in our class were “exploders,” we spent last Wednesday discussing ways to fight our tendency to “blow up” on others–especially the people we love the most. The first strategy was one that I mentioned in the last recap: Remember your goals. As Christians, our goals should not be to make ourselves feel better or to cause others hurt for the way they hurt us. Rather, our goals should be to glorify God and to strengthen our relationships with others. Thus, any interactions we have with others, whether we’re angry or not, should aim to meet those goals. Secondly, we talked about how we can plan our response ahead of time. Terkeurst calls this, “crafting our response template.” In her book, she talked about a template for written communication, like email or Facebook messages. However, the ideas of her response template can work face-to-face, as well. Her suggestions were to start off positively (“honor the other person”), keep your words “short and full of grace,” and to “end by extending compassion.” One of our classmates suggested the technique of the “compliment sandwich,” which she uses at school to correct children. She always starts with something positive (and relevant) about their behavior, adds in the instructive part, and then closes with something else that is affirming to the child. I definitely think that technique is good for both adults and children. When we focus on the positive, we not only soothe the other person’s feelings, but we remember why we love that person–and that helps us to remember our goals! Another suggestion Terkeurst gives is to practice self-control. That kind of seems easy to say and hard to do, but I love the reasoning that she gives for controlling ourselves in stressful situations: “My choice is whether or not to give the other person the power to control my emotions. The one who holds their tongue is the one who holds the power. When I react by yelling, flying off the handle, or making a snappy comment, I basically transfer my power to the other person. In the case of my children, that means I am giving my power to one of my five teenagers. Yikes” (72). These words remind me that to lose control is to give up power over my emotions to another person. That surrender is never in anyone’s best interest, least of all mine! After saying those verses in my head, I simply couldn’t stay mad about something so small (whatever it was!). My anger evaporated without me ever having to even talk to Greg! One thing I did for class was to make us each a little visual reminder of these verses, in case we weren’t familiar with them. To do so, I simply did a Google image search of each verse, then copied the images onto a blank page on Microsoft Publisher. I put nine images on a page, and made sure they were all the same size. Then, I printed copies of the page, laminated them, and cut the verses apart. I poked a hole in one corner of each verse and put them on a key ring. Ta-da! A quick, easy way to keep verses with us at all times. Those were our four battle strategies we discussed last Wednesday. Tonight, we’re going to talk about what I call, Battle Strategy #5. This strategy, perhaps more than any of the others, helps me the most when I’m tempted to explode…or for that matter, to “stuff” my emotions in unhealthy ways. I can’t wait to share it with you, and I hope it helps you as much as it has helped me! Are Your Feelings Worth Sharing? In our last Wednesday night women’s class, we talked about how we each tended to handle strong emotions. We are working our way through Lysa Terkeurst’s book, Unglued, and Terkeurst describes two unhealthy ways of dealing with emotions: exploding and stuffing. When we explode, we spew our emotions onto others. The “explosion” doesn’t have to be loud or violent; it just has to get the emotion out. In contrast, stuffers bottle their emotions in unhealthy ways. They trap them inside where the emotions harden into either barriers or what Terkeurst calls “retaliation rocks.” The author makes sure to point out that people tend to use different styles in different situations, but in our class, we found that most of us were exploders. And unfortunately, we realized that the people we “explode on” the most are our own families. The reasons for the explosions were numerous: stress from work, a messy house, resentment toward having to do too much in a relationship…the list went on, but the outcome, in each situation was the same. When our emotions got to a certain point, we tended to verbally unload on the people we care the most about. But this is how I feel. Shouldn’t we be honest about how we feel? I’m not a fake person; when I feel something, I share it. Several times, this idea came up that it is best to be honest and that bottling up our feelings would be bad. And really, I’m not surprised that these concerns came up. We live in a culture that values honesty and authenticity. No one wants to be thought of as fake or hypocritical, and this seems to be just as true in “Christian circles” as in the larger society. It makes sense to value honesty, but Terkeurst points out that sometimes our “honest feelings may not be truthful representations of the situation. I can be honest with how I feel and still exaggerate or misinterpret what is factually true” (52). She calls this, “emotional spewing,” and asserts that even “in the Christian world we often use this kind of unbalanced honesty with little justifications such as, ‘I’m just keeping it real,’ ‘I’m just being honest,’ ‘Sometimes the truth hurts.’ (53). Such “honesty” can be really ungodly and hurtful toward others. Okay, but then what do we do with these negative feelings? Especially when they stem from issues that sincerely need to be addressed? We can’t just sweep them under the rug, and we aren’t good at hiding them. So then what? 1. To make myself feel better. 2. To make the other person feel the hurt/frustration that I feel. “Venting” our unfiltered feelings does usually make us feel better…at first. But as Terkeurst points out, there is often a deep shame that comes from venting our emotions on someone else. And even if we don’t feel the shame, we usually rupture that relationship to the point where it becomes very unpleasant. And it’s hard to feel good when your relationships are unpleasant or dramatic. And it’s true that exploding on others does help to “even the score” in some ways. Someone upsets you; you upset them right back. It’s like instant karma. Only…then they feel like they need to even the score back…and ’round and ’round it goes. Also, when you really “put someone in their place,” do they ever truly come around and see things your way? Do they ever say, “You know, you’re right–I see how you feel now?” I know I don’t react that way when someone yells at me. It certainly doesn’t make me see things from their perspective. It just makes me angry at them. 1. Bring glory to God. If we are Christians, this should always be our number 1 goal. It is never met by exploding on someone else. God is a God of peace, and he tells us that as far as it depends on us, we are supposed to live at peace with others. Peace is not accomplished by emotional spewing. In class, we mostly addressed family drama and conflicts between friends. In these cases, the goal of our words should always be to strengthen the relationship. That means that we don’t just avoid talking about the things that bother us–avoiding the issue will not strengthen the relationship. But we talk about it in such a way that it makes us closer, instead of driving a wedge between us. A closer relationship makes everyone happier…and it brings glory to the God who created us. This week in class, we are going to look more at how to handle our exploding tendencies. We are going to discuss ways to be prepared for the times when we want to lose control and look at some practical ways to respond when someone pushes all our buttons at once. I think Terkeurst gives us some really great ideas, and I can’t wait to share them with you! Do you hear it? At the time, I thought of it as an excuse, and I think that’s how it was meant. “That’s just who I am.” In other words, “I can’t help that I hurt someone. I can’t help that I caused damage. It’s not my fault; that’s just how I am.” It sounded like a way to get around one’s negative behavior without facing the consequences. Now, though, when I hear that phrase, it doesn’t sound like an excuse. It sounds like prison bars closing. I will never be different. I am a prisoner, a slave to my natural tendencies. In our women’s class tonight at church, we talked about labels. Our class was roughly based on chapter 3 of the book, Unglued, by Lysa TerKeurst, and in that chapter, she discusses how labels imprison us. Often, these labels are put on us by other people: “You’re a wreck.” “You’re stupid.” “You’ll never get it together.” I could go on and on with examples of the ways we limit each other with our words, the ways we reduce each other to a dismissive phrase. In fact, as we discussed in class, even “good” labels, like “Smart,” or “Strong,” or “Mature” can imprison us because we then feel pressure to live up to that label, to the point when we doubt our identity when we fall short. So labels are bad, and it’s really sad when we feel labeled by others. But what’s even sadder is when we label ourselves. Because when we say, “That’s just who I am,” that’s what we are doing: we are labeling ourselves as hurtful people, or brash people, or people with no self-control. And that is so sad to me. “That’s just who I am” has got to be one of the saddest phrases in the English language. It’s sad because it’s dehumanizing. Isn’t one of the beautiful things about being human our capacity to grow and adapt, to mature and evolve? And yet, when we say, “That’s just who I am,” we effectively deny our capability to grow and learn and change. Furthermore, for the Christian, it’s ultimately a faithless phrase. Because didn’t Paul proclaim that “If anyone is in Christ, he is a new creation: the old has gone; the new has come” (2 Cor. 5:17)? When we become Christians, God doesn’t leave us “just how we are.” He transforms us into a new creation! He also tells us in 2 Corinthians 3:18 that, as Christians, “we all are being transformed into [God’s] image with ever increasing glory.” I like that verse because it draws a picture of continual growth. As we live and pursue Christ, be are being transformed into His image. 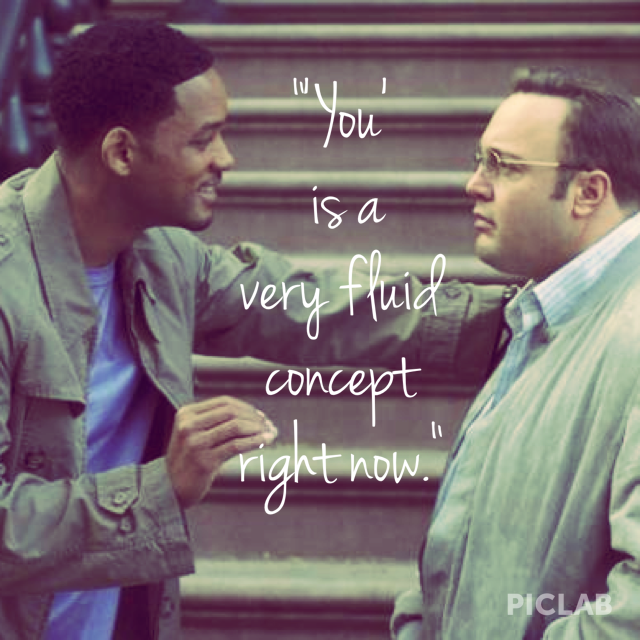 I love that idea: “‘You’ is a very fluid concept.” That’s biblical, I think. The Bible tells me that I am God’s handiwork, created in Christ to do good works (Eph. 2:10). It tells me that I am continually being transformed by God’s Spirit at work within me. And it tells me that God Himself has begun a good work in me that will continue until it is complete. He certainly doesn’t leave me, “just who I am.” Thank heavens! For the purposes of our class, we needed to identify the way that labels limit us and to talk about ways to overcome the labels that are put on us, both by others and ourselves. The point of Unglued is, as the subtitle states, to learn how to make “wise choices in the midst of raw emotions.” And so often, we hide behind labels to justify succumbing to those emotions. Thus, the first step in learning to deal with our strong emotions–our strong natural tendencies, in other words–is to embrace the idea that labels are a lie. We are more than the sum of our natural tendencies, and just because we feel something doesn’t mean that we must act on it. Next week, we will take a closer look at some of those natural tendencies. But until then, the challenge is to consider–and reject–the labels that have been put on us. Do you have any labels that you need to reject? Feel free to share them in the comments! What Makes You Come “Unglued”? Have you ever come unglued? Have your emotions ever welled up to the point where you have temporarily lost control of your words or you actions? I know that I certainly have. What does coming unglued look like for you? Are you a screamer? A throwing-things type of person? Do you cry? Or say hurtful things? Do you bottle everything up inside and let your emotions seep out other ways? When I come unglued, I tend to cry and be emotional. Or I get super-cranky and snappy. It’s not pleasant to be around me when I come unglued, and it certainly doesn’t honor God. In our Wednesday night women’s class at church, we are starting a lesson series on the idea of coming “unglued.” It is based, aptly enough, on Lysa TerKeurst’s book, Unglued: Making Wise Decisions in the Midst of Raw Emotions. It’s funny–before I read the book, I never considered myself the “emotional” type. I have always felt that I’m a pretty rational person, and since my husband has expressed appreciation for that very quality in me, I feel somewhat validated in that belief. At the same time, a lot of what TerKeurst said in her book really resonated with me. 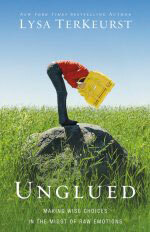 And, as fate would have it, I read her book during a time when I was under a lot of emotional stress, and the temptation to come “unglued” was very strong. In that situation, I found her words and strategies to be very helpful, and I hope that you do, as well! This mantra has helped me so much since I’ve read it. I have always known that I am the type of person who likes to feel in control of my life. Which is kind of hilarious when you think about it, because really, there is so little that we can control about our existence. And yet, I really love having the illusion of control. However, that means that when I feel out of control, I also feel LOADS of stress. This week in class, we made our “Out of My Control” lists, where we wrote down all the things that are out of our control AND that have the potential to make us come unglued. On my list, I wrote, “other people’s behavior,” and “financial issues (like selling our house).” Some other lists had “other people’s perception of me,” “my children’s behavior,” and–one that I thought was especially poignant, “Tomorrow.” What’s on YOUR “Out of My Control” list? Our challenge for this week is that when circumstances feel out of our control, and we find ourselves being pushed to the point of coming unglued, to step back and remind ourselves that “I can face things that are out of my control and not act out of control.” After all, as Christians, we serve the One who is IN control of all things, and we are told in His Word to us that He works all things to the good of those who love Him (Rom. 8:28). Sometimes we can see that good, and sometimes we have to simply “walk by faith and not by sight,” but either way, in times of stress and strong emotions, it helps to remind ourselves Whose side we are on. If you could not attend our class this week, I’d love to hear your answers to the questions we asked in class (What does coming unglued look like for you? And what’s on your “out-of-my-control” list?) I’d also love to know what purposeful thoughts or verses you turn to when you are tempted to come unglued. I think we could all use help in changing our thought patterns, so if you have any helpful suggestions, please share in the comments!